And We Remained started as a story which needed to be told. The story though, wasn’t a short one. How it needed to be told had to be very different as well. And We Remained then turned into a 52,000 word novel with an absorbing storyline and a unique narration style. 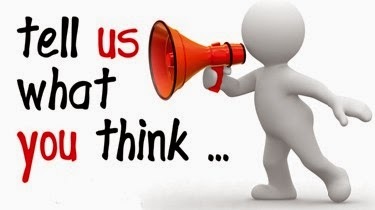 In the 1990’s, India is going through tremendous socio-economic changes. Set in this era, it is a coming of age story of five engineering friends—Sahir, Sandeep, Gopal, Anand and David—and the women in their lives, especially the beautiful Wardha. Their intertwined story is told by these friends through first person accounts of events in their engineering college contrasted in alternate chapters with their lives a few years later when they keep in touch, narrate events in their lives and share their experiences in India and abroad through emails. And We Remained takes you on their entertaining journey through college, love, heartbreak, prison, politics, drunken binges, strip clubs, US and Europe as they hang on to sanity and their identities in a fast changing society and a nation in flux. Asad Ali Junaid is a design professional in Bangalore working in the area of Human-Machine Interaction. 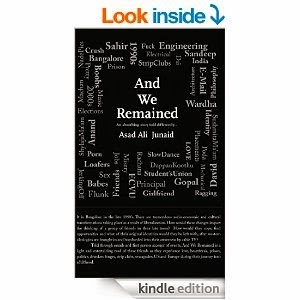 Junaid’s book – And We Remained – started as a story which needed to be told… and one which needed to be told differently. While he was struggling to get the narration style and structure right, he joined a three week in residence ‘Just Write’ fiction writing workshop where he got a chance to learn the nuances of and hone his story telling skills from authors Anil Menon, Anjum Hasan and Rimi Chatterjee. Junaid writes whenever there is a compelling story inside him bursting to get out. Junaid has written several short stories and is currently editing his second book – which like his first one – has an absorbing story and is very different in narration style.